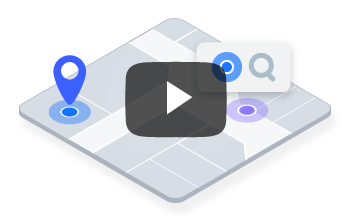 Indoor location sharing enables users to opt-in to share their location in real-time or locate others, such as family members, friends or colleagues inside large buildings. With Jibestream, you can see their location on a map, receive turn-by-turn directions and easily navigate to them. From corporate campuses and hospitals to resorts and shopping malls, indoor location sharing drives greater collaboration and a greater experience of place. The Desjardins employee app harnesses the power of location sharing enabling employees to find friends and colleagues on an opt-in basis. Employees can connect with friends to share their location throughout the Desjardins corporate campus or establish a short term connection to see a colleague’s location for a 30 minute window facilitating impromptu meetings and collaboration. Enable employees to quickly locate friends and colleagues throughout corporate campuses saving time and improving workplace efficiency. Quickly share your location in emergency situations or locate a patient’s attending physician or nurse in crucial healthcare delivery moments. Enable guests to stay connected with friends and family or to easily locate employees throughout crowded entertainment facilities, shopping malls, resorts, and more. Your solution is unique to your business. That’s why we’ve built our platform to be agnostic, allowing you to integrate with any third party applications to solve your unique problems. 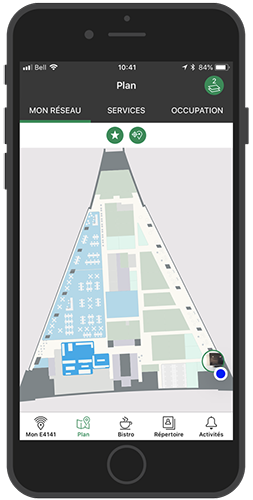 Jibestream’s indoor mapping platform provides developers with a CMS, SDKs and a robust set of APIs and tools to create and build interactive maps that are easy to manage and are geolocated to the world. Enhance Jibestream’s mapping platform with indoor positioning to create a system that monitors the real-time location and movements of assets and visually represents them on a map. By combining maps and positioning, new insights can be gathered on assets and their proximity to rooms, equipment and other assets. Put your brand experience in your users’ hands by building a mobile application and embedding your interactive indoor maps into it. Jibestream SDKs are available for web, iOS and Android.